As sad as I am to see fall pass us by I have to say that I am excited about December. This month is filled with sparkly lights, hot chocolate, gifts wrapped with large bows, my birthday (hint hint to all my friends and family out there 🙂 ) and COOKIES! I love that during this season cookie parties are abundant and that all of us will be on the receiving end of at least 1 plate of cookies as a gift from a friend, colleague, or loved one. 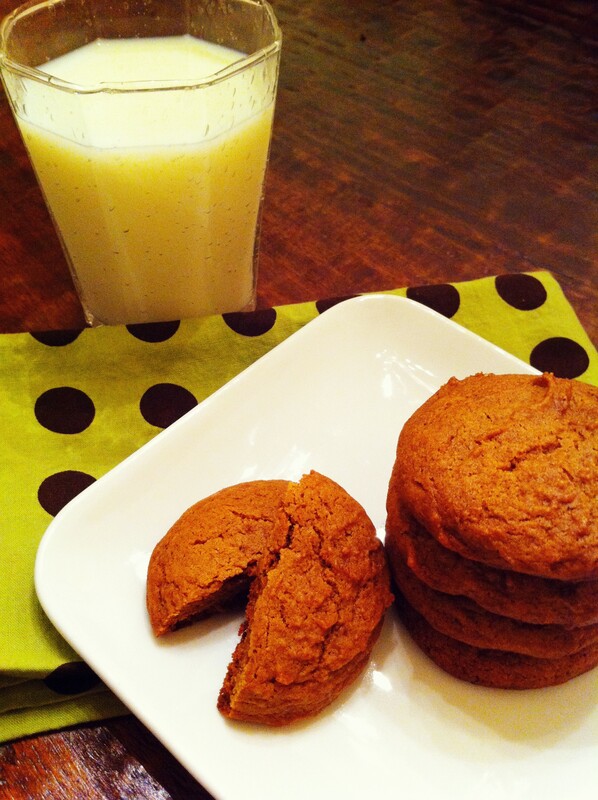 One of my favorite cookie flavors is molasses…. mmm. Growing up my mom used to buy a bag of iced molasses cookies each holiday season and my sister, my mom, and I would savor each bite and live in fear of reaching into that bag and discovering the inevitable, the last cookie. Isn’t it funny how when you were little (sometimes even now) you felt like that last cookie, soda, chip, etc. was the last one in existence and that you’d never see that precious treasure again? The thought of going to the market to replace it never crossed our minds.